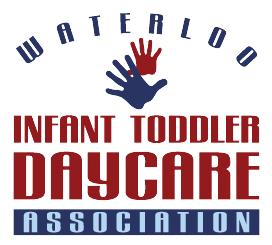 Waterloo Infant Toddler Daycare Association (WITDA) strives to provide a welcoming, healthy, stimulating environment for all our families. Our organization has a team of qualified Registered Early Childhood Educators dedicated to each child’s well-being. Our holistic approach engages children in all domains including: cognitive, social, emotional, and physical development. WITDA strives to be inclusive and evolves to meet the needs of our children and their families. Our educators nurture the individual needs of each child; supporting and gently guiding children in their learning by incorporating the document, How Does Learning Happen Ontario’s Pedagogy for the Early Years. This document consists of four foundational elements including: belonging, well-being, engagement, and expression. Belonging is the sense of connectedness observed in the relationships between children, families, and educators. Well-being is supported physically through appropriate nutrition planning and teaching self-care, as well as mentally through self-regulation (the ability to calm oneself). Engagement is hands-on learning based on the children’s interests and needs. Expression is the progressive communication seen through conversation, actions, and play. Families are paramount and we strive to build strong relationships with each and every one. Our open-door policy (where families/guardians may come into the classroom freely throughout the day) provides warm, non-judgemental, and responsive communication amongst children, families/guardians, and staff to create a supportive, enriching program. This can be seen through documentation, daily interactions, and planned meetings with families/guardians. As an organization, we view each other as team members and support each other to create a healthy work environment. We have unified relationships that are strengthened through team building opportunities. Through family engagement we are cultivating an authentic relationship, which strengthens our community and creates a sense of trust where we can support, collaborate and learn from each other. Our organization believes children are competent, capable, curious, and rich in potential. Through the educator’s observations and documentation, we provide child-initiated and adult-supported experiences. Our educators have a thorough understanding of the children’s needs and interests. They use the environment as a tool to deepen learning. This can be seen through provocations (teacher-initiated experiences or questions that sparks continued in depth learning), and open-ended materials that foster the children’s natural curiosity. We understand that each child is a unique individual. The learning environments are mindful of all populations and based on children’s developmental needs. We believe it is important to nurture children’s confidence so they are not afraid to make mistakes. We provide opportunities to repeat and expand experiences, promoting growth. Our educators demonstrate patience, teach understanding, and acknowledge the children’s feelings by creating a safe and comfortable environment. By demonstrating positive behaviour and through interactions children learn respect, empathy, and acceptance. In our daily program, we guide children in problem solving and self-regulation by helping them identify emotions and taking time to listen to their needs. We believe that the transition between indoor and outdoor play should be emergent, interchanging and constantly evolving based on the children’s current interests. We feel there are many opportunities for children to explore and expand their knowledge in all developmental domains through manipulating the indoor and outdoor environment. We support the children’s learning by bringing outdoor play inside and incorporating indoor learning centres outside. Our organization spends a minimum of two hours outdoors per day, (weather permitting). WITDA is equipped with an indoor space for active play where children can work on their gross motor (large muscle movement) skills and abilities. Children should have an opportunity to rest in a calm, relaxing environment being mindful of parental/guardian requests and children’s individual needs. Cots are provided for all children to rest in a darkened, quiet room with peaceful music playing. We also provide comforting activities throughout the day for the children to soothe their minds and bodies. WITDA has a strong commitment to nurturing the body with carefully planned snacks and well-balanced meals in accordance with Canada’s Food Guide. We respect the need for dietary restrictions and parental/guardian requests for the health, safety, and well-being of the child. As knowledgeable professionals, we lead by example promoting healthy habits. We maintain a clean and safe organized environment where children can play freely without risking injury. Community support agencies are a strong part of our organization. They each bring their own knowledge and skills to support children, families/guardians, and educators establishing quality care in the program. The skills and knowledge they bring forward inspire new learning opportunities into our programs. Throughout the year, we are involved in the continued learning of volunteers, high school, college, and university programs. We value the different perspective each community member brings forth. New professional learning opportunities are continuously posted and encouraged for staff. Learning opportunities are relevant to each staff member’s personal goals. All staff are committed and responsible for their own professional development. WITDA feels that continuous professional learning empowers the staff and promotes growth throughout the organization. In the interest of keeping our view and beliefs emergent and ensuring high quality care in our program, we will continuously reflect, re-evaluate, and revise our program statement as needed, or annually. All staff will participate in an annual self-reflection. Educators will also reflect on the program statement goals monthly during team meetings to ensure the approaches set out in the program statement are being implemented in their rooms and will be revised & re-evaluated as needed. In addition, all educators are committed to abide by the standards set out by the College of Early Childhood Educators and Code of Ethics & Standards of Practice. The approaches set out in the program statement are being implemented to fit our organization’s vision. We support this though: annual staff surveys, parent/guardian surveys, family-teacher nights, staff performance reviews with goal setting, staff meetings, and team meetings. All staff, students, and volunteers are expected to review the program statement prior to interacting with children, as well as any time the program statement is modified. All monitoring of compliance in regards to the program statement will be kept on file for three years.